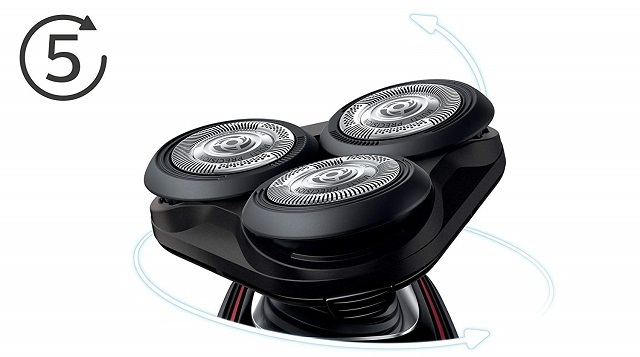 Philips is one of the best when it comes to designing and manufacturing high-quality personal grooming products. They have a long line of popular devices that are used by consumers and professionals alike. 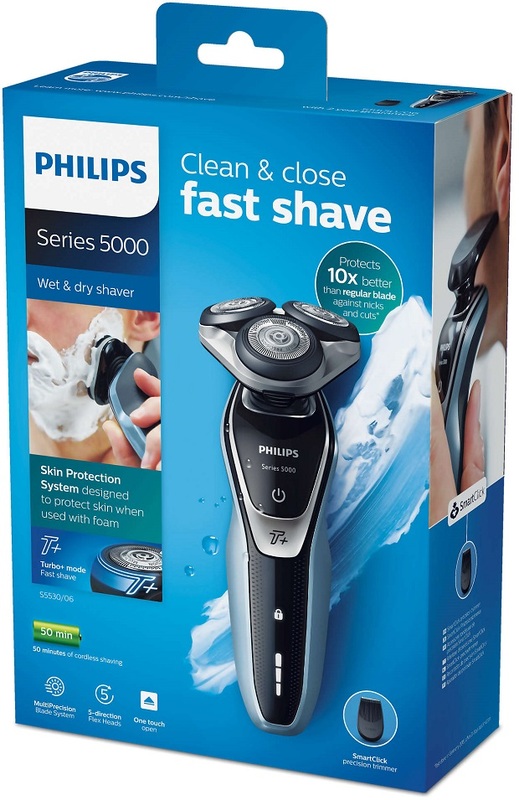 The Philips s5530/06 Series 5000 Turbo Electric Shaver is among their most popular products and offers excellent consumer value, convenience and performance that is significantly better than competitor rotary shavers. If you are in the market for a new electric shaver, details matter. Let’s take a look at the details of this Philips electric shaver and see how it stacks up against the competition. What are the Key Features of the Philips s5530/06 Turbo? 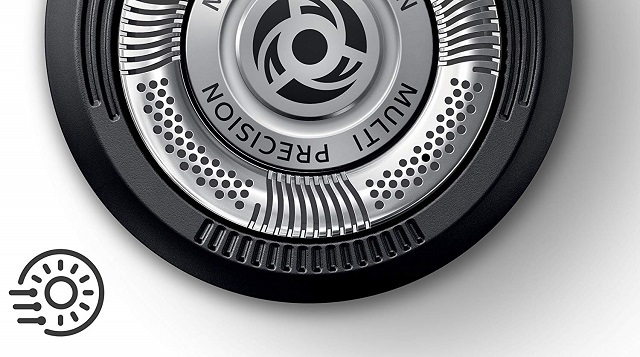 Electric shavers use either rotary or foil technologies in order to provide a clean and smooth shave. However, shavers that utilize foil shaving technology cut hair using a linear motion which makes it more difficult to effectively capture, lift and cut hairs growing in different directions. 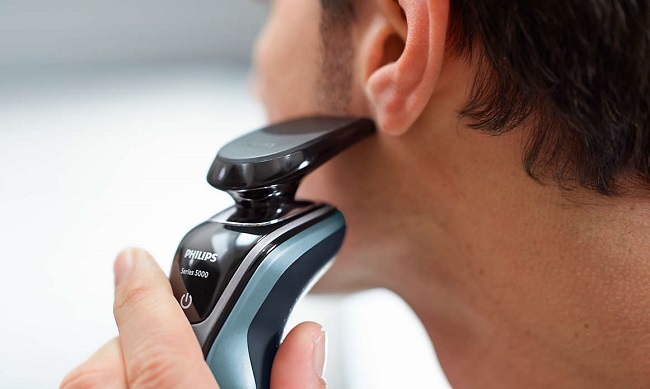 The Philips Series 5000 s5530/06 Shaver uses a rotary cutting system that is designed to be gentle on the skin but also effective in capturing, lifting and shaving hairs that are uneven or growing in opposite directions. Rotary shaving action is simply more effective, gentler, and makes getting a close shave less effort. If you have a full beard, short beard, goatee or clean shaven face then maintaining your look can sometimes be a lot of effort, especially if you don’t have naturally perfect hair. This Philips electric shaver makes maintaining your clean shave or full beard simple by providing even more performance with a Turbo Shave setting right at your fingertips. Simply flip the switch and the shaver automatically gets a 10% boost in fast and effective cutting action. This is ideal for dealing with full beards or facial hair that is sometimes uncooperative. 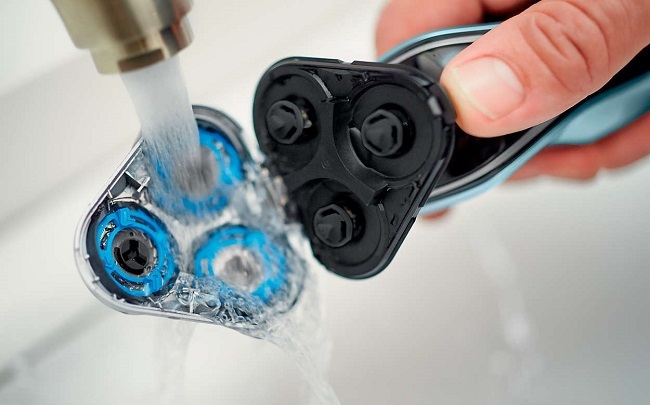 The s5530/06 Series 5000 Turbo comes with three independent rotary action heads for optimum shaving performance. The heads are designed to flex in five different directions, follow the contours of your face and to capture difficult hairs. The flexible head design provides a smoother and gentler shave while also making shaving almost effortless. 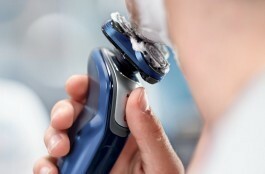 Philips knows you have a busy lifestyle and don’t want to spend a lot of time maintaining an electric razor. That’s why they designed this electric shaver as 100% waterproof and washable even under direct water. This makes cleaning and maintaining your electric razor a breeze and it will always be ready for the very next shave within just a minute or two of cleaning time. The precision trimmer attachment is designed to expand the functionality of this shaver beyond just a regular razor and into a full personal grooming device. The head of the unit easily clicks off and the precision trimming attachment is perfect for trimming mustaches, goatees, beards and even sideburns. You can easily maintain your style and look in just a few minutes with this easy to use and effective precision trimming functionality. The battery can be fully charged in approximately one hour and provides a full forty-five minutes of shaving time, which is about fifteen complete shaves for most men. The quick recharge and long battery life makes this unit excellent for use at home, at the office or at your fitness club. The unit can be used with a cord in order to preserve battery life or cordless if you need a quick and comfortable shave while traveling. No matter where you are this shaver makes an excellent companion that keeps you looking your best. 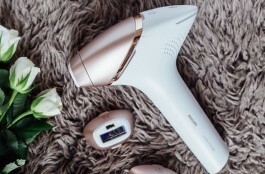 Along with the Philips engineered rotary shaving system, this electric shaver is designed to actually lift hairs away from the skin before it cuts. This allows the shaver to cut the hair underneath the surface skin level and provide a clean and smooth shave that will keep you feeling fresh. The lift and cut action combined with the rotary technology and turbo boost performance makes this unit one of the most powerful units in its category. 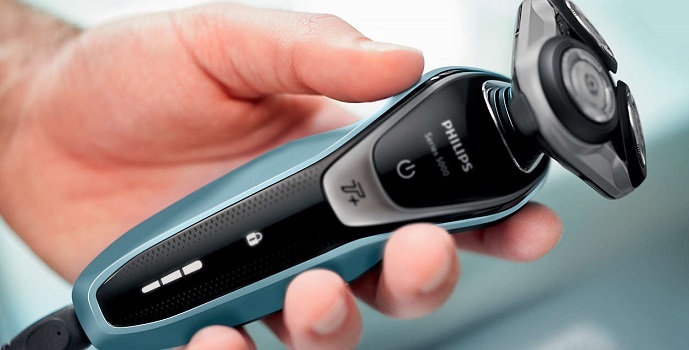 The Philips s5530/06 has large comfortable shaving head that provides a soft and gentle touch against the skin. The body of the shaver is sleek and modern looking, fitting nicely in your hand for perfect control over shaving action. The unit is black with silver accent pieces and is small enough to easily fit in your pocket or small bag for easy portability. While some shavers can feel bulky or awkward in the hand making it difficult to keep control in difficult to shave places, you won’t find that to be the case with the s5530/06. It was designed with maximum comfort and control as the first priority. What awaits in the Box? The s5530/06 Series 5000 Turbo Shaver comes as a complete personal grooming kit and includes everything you need to keep looking your best day in and day out. 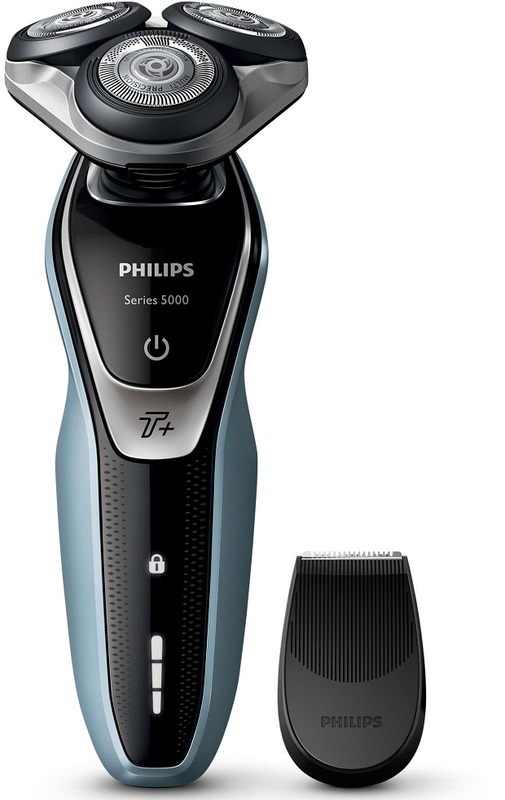 You get an s5530/06 Turbo electric Shaver, the precision trimmer, a protective cover and user manual all in one package. 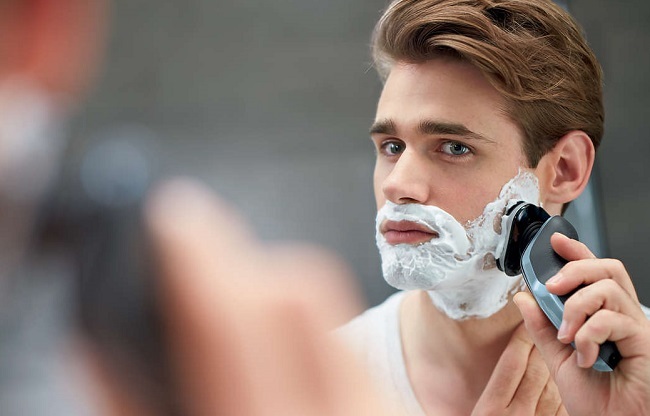 It can be difficult to know which electric shaver will actually offer you the best performance and value, especially if you have difficult to manage facial hair. However, with the Philips Series 5000 s5530/06 you can put your worries aside. This shaver offers an excellent combination of consumer value, powerful performance and comfort features that you won’t find with just any electric razor.